Our BI team has been very busy lately working on the new version of Ranet OLAP Pivot Table, which we are planning to release next week. Here is a short summary of what we have improved in this version. 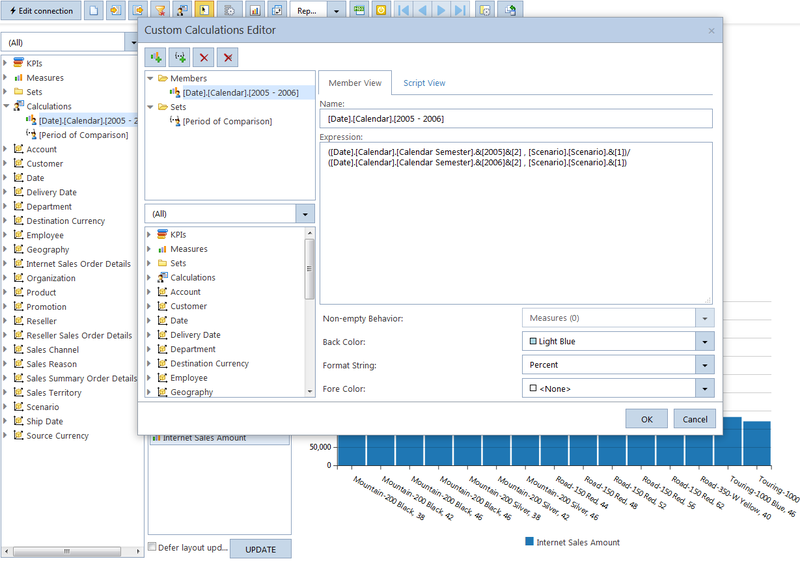 In the new Ranet OLAP Pivot Table, users will now have an opportunity to visualize data. There are several types of diagrams they will be able to choose from, depending on what data and relations they need to see. 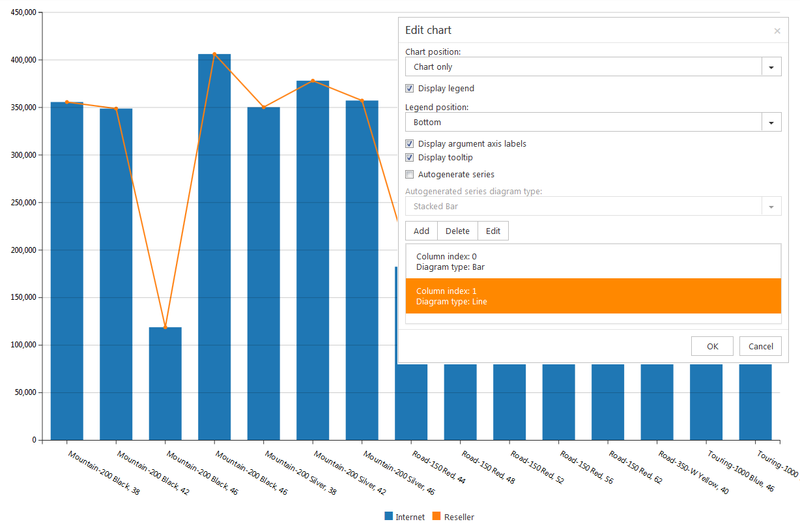 We have also added an option to manage graph reflection settings - the end user will be able to create different types of series to reflect only the data the user requires. 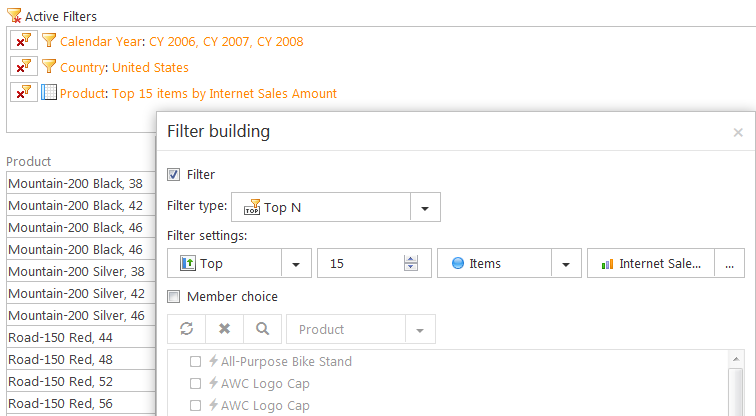 Active filters panel has been added. The panel shows all filters that have been applied to and have influenced the data the user receives. Users will have an opportunity to manage the active filters by editing and deleting the ones they do not need. One more improvement we have introduced is modification of MDX query generation algorithm for actions in the pivot table (expand/collapse/drilldown). The new algorithm generates a much shorter MDX query and helps to avoid modification of the result received from SQL Server Analysis Services. This leads to significant increase in the solution’s performance. As far as the visual aspect of Ranet OLAP is concerned, we have developed and implemented two new visual themes, Metropolis and Office 2010 Bl, which will allow integrating Ranet Pivot Table in existing solutions that have their own visual style. Besides, we have expanded the number of API methods used, including new methods for connection string modification, report creation, adding pages to the report, and switching between report pages. We will write in more details about new features of Ranet OLAP and their influence when the new version is released. However, if you have any questions now, don’t hesitate to contact us.